The time has come to start planning your big move, but there’s one lingering problem. How are you going to pack your belongings, move, and unpack again? You know you can’t do it alone. There are several channels through which you can find assistance during your big move. In this article, we’re going to talk about five ways to get the help you need. The easiest way to make your move is, of course, to hire movers. Real Simple outlines the process for you on its official website. Movers are convenient because they allow you to be hands-off during the moving process. Rather than worrying about heavy lifting, timing, and discomfort, you can relax and simply direct traffic. However, there’s a distinct downside to hiring movers. While most service providers will move your belongings, you are still responsible for packing and unpacking an entire home of boxes. You are also responsible for sorting through your current home and throwing away unneeded or unwanted items. This process can take weeks, and movers can’t help you. One way to diminish the responsibility of sorting through belongings, packing, and unpacking alone is by asking your friends and family for assistance. While you don’t want to feel like a burden, you should understand that you have provided for your family until now. You aren’t asking for too much. In fact, the request for help is perfectly reasonable. The time to focus on yourself has finally come. Your family and friends will jump at the chance to help you. Enjoy it! Angie’s List offers some great tips to help you ask your friends and family for assistance during this busy time. If you don’t have many friends or family members to ask, consider looking to your community for assistance. You can ask neighbors, volunteers, or other trusted sources to help you sort through your home and begin the moving process. You’ll find this is a good way to make friends, build relationships, and find out who truly cares. You should, however, be wary of red flags. Groups of teenagers that you’ve never met, strangers with unknown connections, and shady characters may be looking to cause trouble. Don’t put your home or yourself in danger. Make sure each person helping you has at least one connection to someone in your life. Maybe you aren’t comfortable asking community members for assistance. If this is the case, consider your social circles. Are you a member of any groups? Do you go to church? The members of these communities not only know you, but care about you. Even if some members of your circle can’t help physically, they may be able to help financially. Throughout the moving process, remember to ask questions. If you don’t ask, you’ll never know. For example, a local moving service may offer packing and unpacking as part of its general services. Another company may be willing to help in special circumstances. Don’t be afraid to ask. Some of the best opportunities in life come from unexpected answers. These are just five ways to find assistance during your senior move. While you may have to get rid of some things or move some items to storage if you’re downsizing (luckily there are services that offer free pickup), with the right help and the right investment, you’ll be more comfortable than ever in your new home. 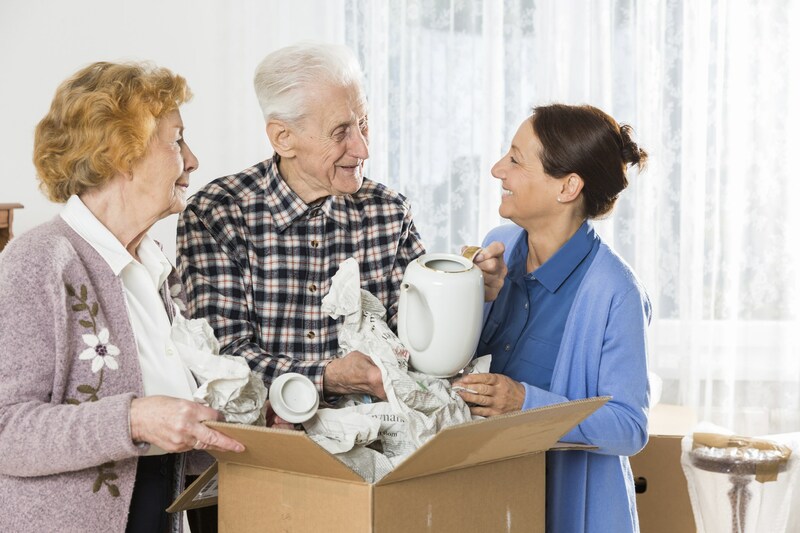 Are you trying to help your parent or senior friend move? Change Is Good offers unique tips to keep in mind along the way. Are you still looking for a new home for your parent or senior friend? OpenHouseDay is the best resource and easiest way to search for new homes on the market.